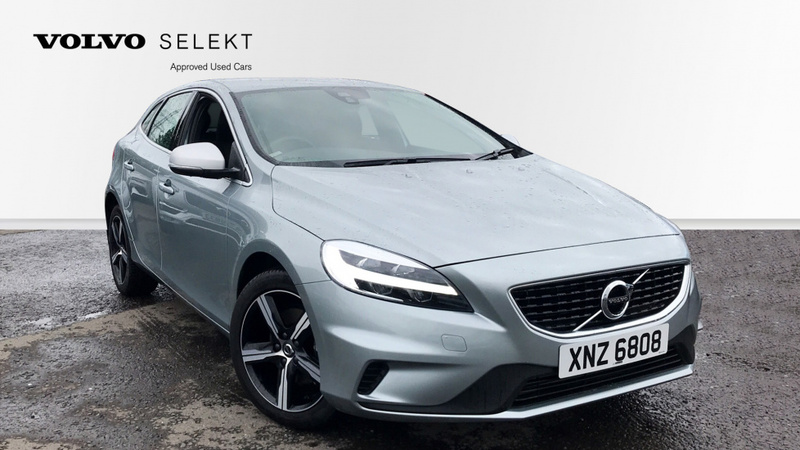 This stunning V40 is packed full of lovely feature which include Heated Front Seats Headlamp Cleaning System, Heated Windscreen, Cruise Control, Rear Park Assist, Dark Tinted Windows all these lovely features will allow for a comfortable and pleasant journey and having the dark tinted windows in the rear will also give that extra bit of privacy to the rear passengers. Delivery to the UK Mainland available. 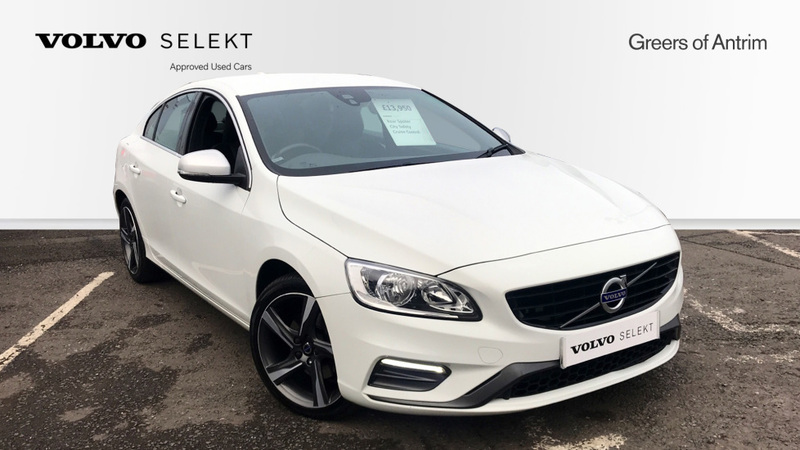 Active TFT Crystal Driver's Information Display, Information Centre, Cruise Control, Anti-theft Alarm including Immobiliser. 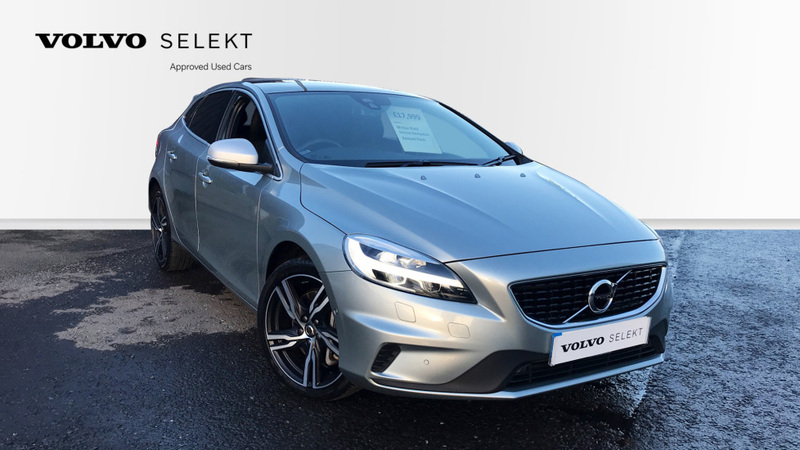 Volume Sensor and Level Sensor, Silver Matt Door Mirrors, R-Design Aluminium Trim, R-Design Sports Floor Mats, Illuminated Driver and Passenger Vanity Mirrors, Front and Rear Reading Lights and Front Theatre and Footwell Lights, Tyre Pressure Monitoring System, 18' Ixion Alloy Wheels with 235/40 Tyres, Tyre Sealant Kit with Compressor, Locking Wheel Nuts, Leather Steering Wheel with Chrome Trim and R-Design Logo, Steering Wheel Remote Audio Controls, Rain Sensor with Automatic Wiper Function, Tinted Windscreen, Rear spoiler, Warning Triangle, A-Pillar Parking Ticket Holder, Delivery Available. 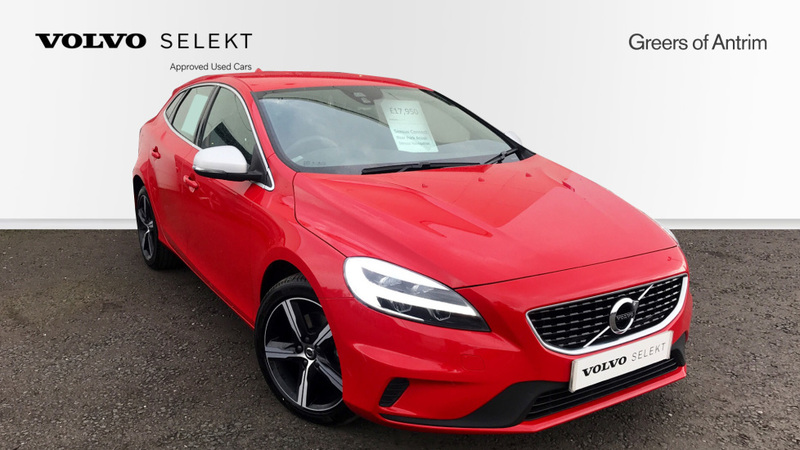 This stunning Volvo V40 D2 R-Design has plenty of features which will make the driving experience fantastic. Rear parking sensors are fitted and will aid you in guiding your car to safe distance when reversing. 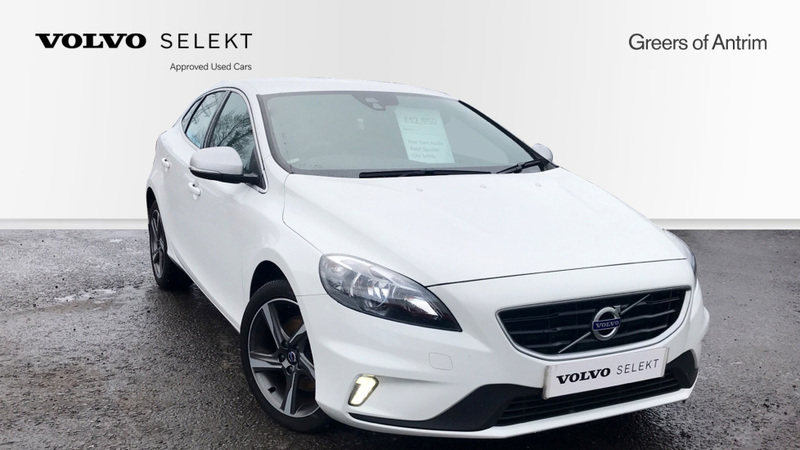 17' Ixion Alloy Wheels (Diamond Cut/Matt Black) with 225/45 Tyres really stand out against the white paint. Delivery to the UK Mainland available. 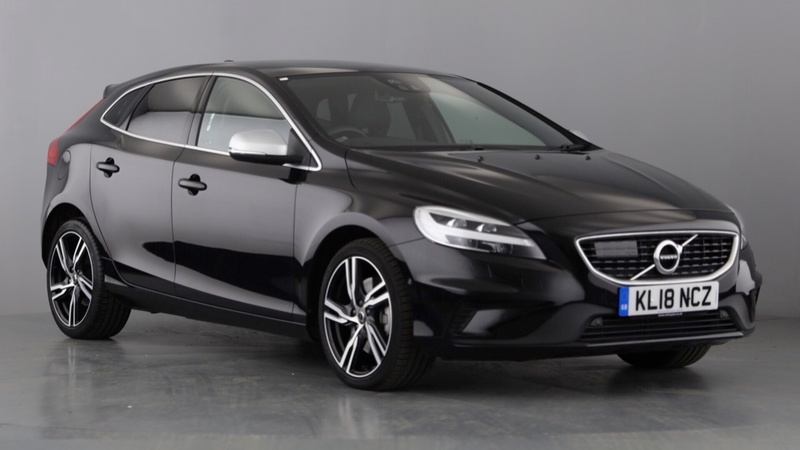 Cruise Control, Sensus Navigation, Rear Park Assist, Sensus Connect with High Performance Sound - 7' Colour Display Screen. 1 x DVD and Hard Disc Drive for Music Storage, Week 46 Manual Gearbox Change, Delivery Available. 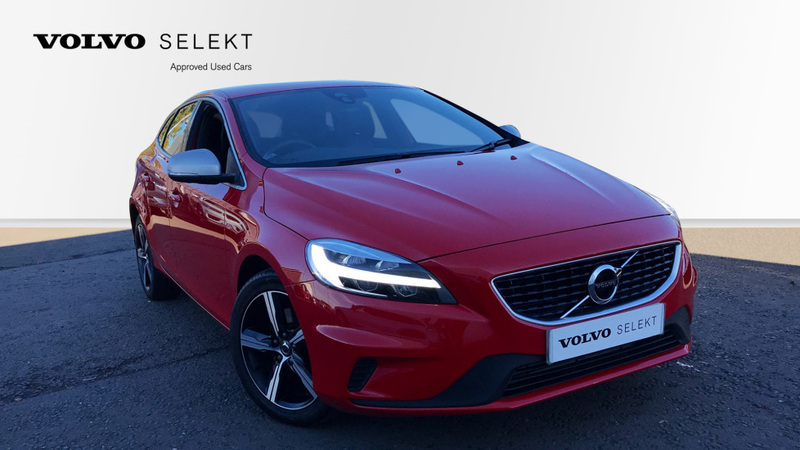 Cruise Control, Sensus Navigation with European Mapping and Lifetime Annual Map Updates, Rear Park Assist, Sensus Connect with High Performance Sound. Delivery Available. 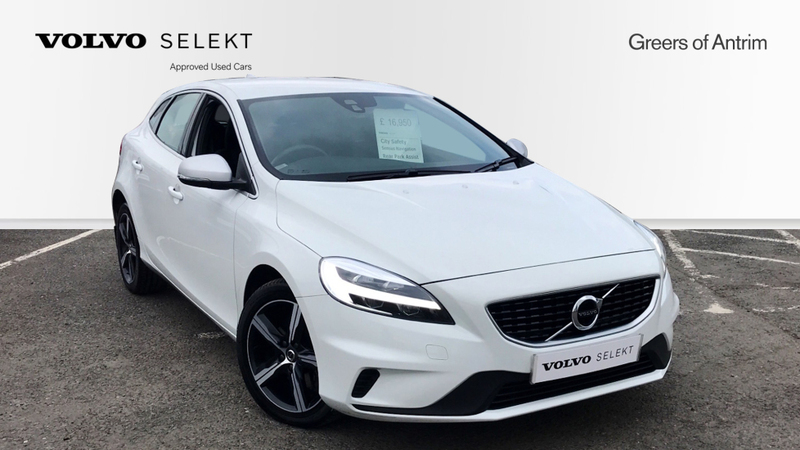 This stunning V40 Ex Demonstrator is packed with features such as Cruise Control, Sensus Navigation with European Mapping and Lifetime Annual Map Updates, Rear Parking Camera, Sensus Connect with High Performance Sound. 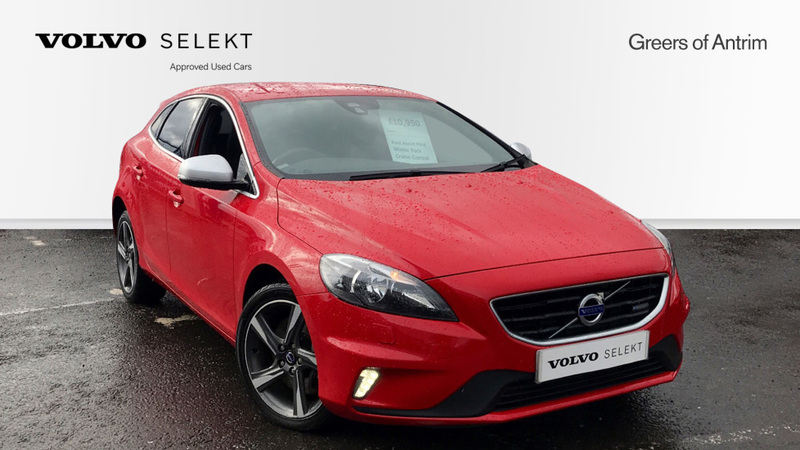 all of these features improve the quality of any journey made in this vehicle. Delivery to the UK Mainland available. 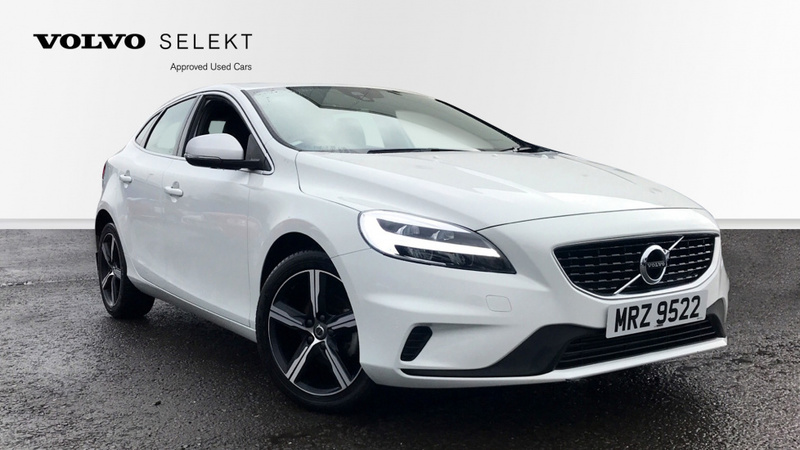 This Stunning V40 has plenty of features such as Cruise Control, Sensus Navigation with European Mapping and Lifetime Annual Map Updates, Rear Park Assist, Sensus Connect with High Performance Sound. 7' Colour Display Screen. 1 x DVD and Hard Disc Drive for Music Storage. Delivery to the UK Mainland available. 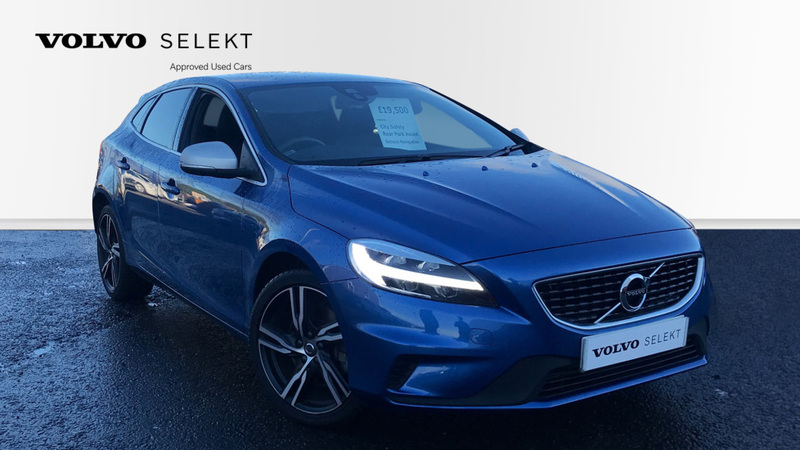 This stunning V40 is loaded with features such as Adaptive Cruise Control, Rear Parking Camera, Dark Tinted Windows - Rear Side Windows and Cargo Area, BLIS with Cross Traffic Alert and Rear Collision Mitigation and much more. Delivery to the UK Mainland available. R-Design Logo, Steering Wheel Remote Audio Controls, R-Design Twin Exhaust Pipes, R-Design Rear Tailgate Emblem, Rain Sensor - Automatic Windscreen Wiper Activation, Roof Spoiler, R-Design Front Door Tread Plates, Warning Triangle, A-Pillar Parking Ticket Holder, Sensus Navigation, Rear Park Assist. Delivery Available. 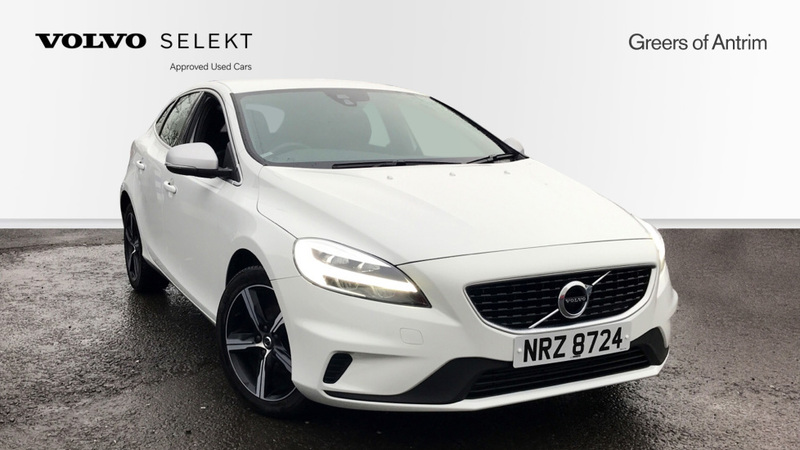 Heated Front Seats, Headlight Cleaning System, Heated Front Windscreen, Power Passenger Seat, Fixed Panoramic Sunroof, Power Driver Seat with Memory for Seat and Exterior MIrrors, Rear Park Assist Camera, Park Assist Pilot (includes Front and Rear Park Assist), Volvo On Call with App, Tempa Spare Wheel and Jack. Delivery to UK Mainland Available.